The Lawrence Lofts development is considered a milestone in the redevelopment of downtown Sterling and the riverfront by providing downtown urban living options for individuals seeking affordable housing within walking distance to services, amenities, and will provide growth opportunities for downtown businesses. 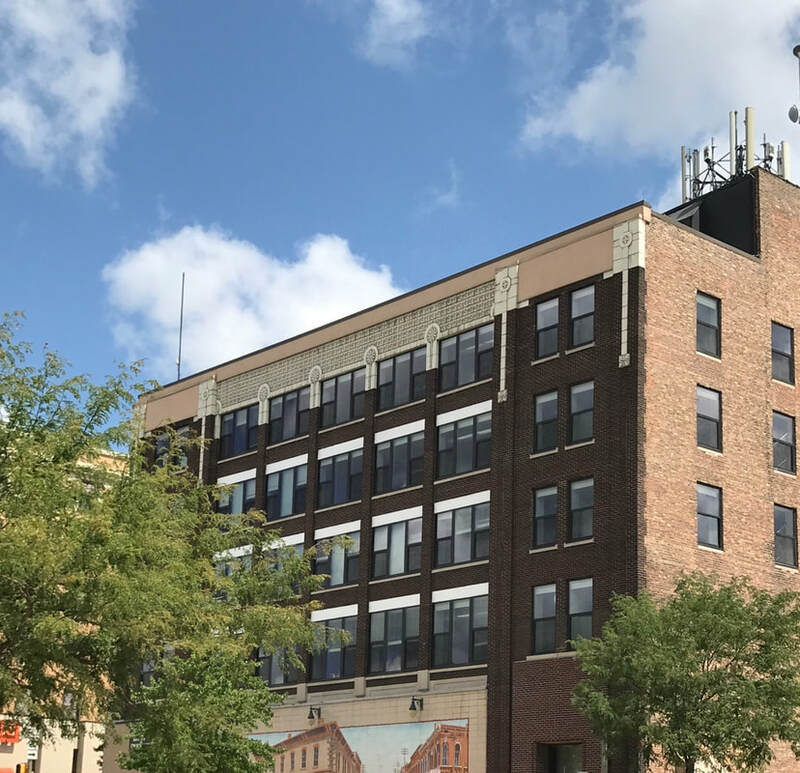 GROWTH redeveloped the second through fifth floors of the Lawrence Building into a $5.6 million adaptive-reuse, mixed-use development re-purposing the vacant, upper stories into twenty (20) residential affordable rental units. Residential units range from 484-780 square feet, featuring one bedroom/one bath units and two bedroom/two bath units. The Illinois Housing Development Authority announced GROWTH an Affordable Housing Champion award winner for Lawrence Lofts in February 2018. GROWTH was one of three award winners throughout the state of Illinois. The Illinois Affordable Housing Champion Awards represent distinguishes developments, programs, or initiatives from three discrete geographies from accords the state of Illinois. 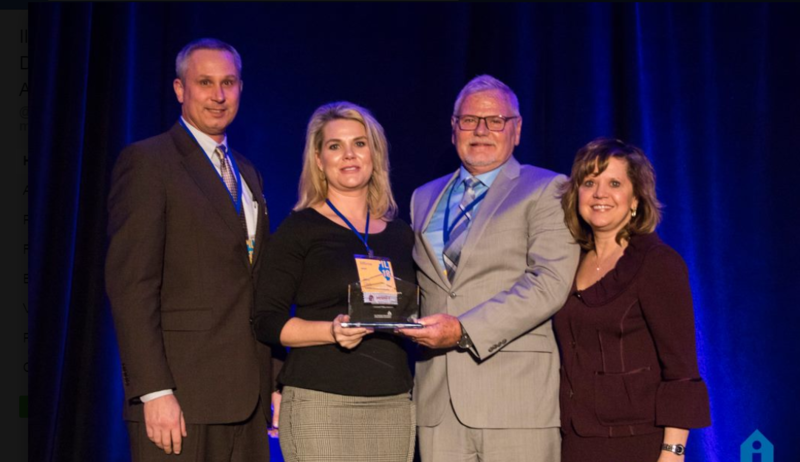 GROWTH received the Jon Linfield Award representing rural/small cities/ non-metro areas in the state. The first floor remains under separate ownership The development will saves the existing Whiteside County Extension Office from having to relocate outside downtown Sterling, and allowed for Whiteside County to eliminate a large and unfunded financial building maintenance burden. 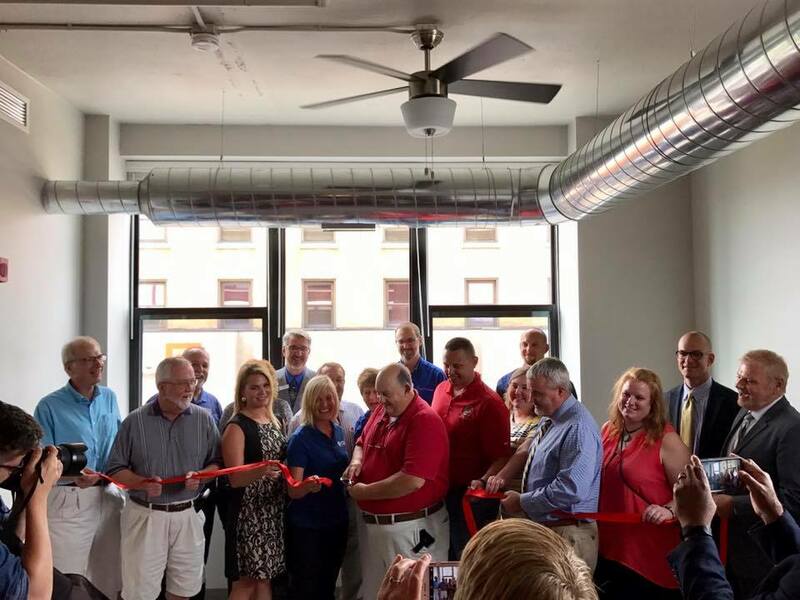 Above: Ribbon cutting celebrating the completion of Lawrence Lofts held July 2017. Above: Andrew Fisher, Construction Director; Amy Clark, Multifamily Development Director; Brian Hollenback, President & CEO, and Audra Hamernik, Executive Director for IHDA pose for a photo after GROWTH was announced 2018 recipients of the Jon Linfield Award for Lawrence Lofts. Interesting Fact: The completion of Lawrence Lofts marks the first time the upper stories have been occupied since the 1960's. The Lawrence Lofts development comes off the success of nearly a 10-year partnership between GROWTH and the City of Sterling. Lawrence Lofts is the first multi-family development GROWTH has produced in downtown Sterling, but GROWTH has been partnering with the City of Sterling since 2009 on various housing initiatives including Neighborhood Stabilization Program 2, Illinois Attorney General National Foreclosure Settlement Funds, and various revitalization and repair programs for single family homes throughout the city of Sterling.